Skyscraper : A sparkling, glitter blue reminiscent of the sky over the city. 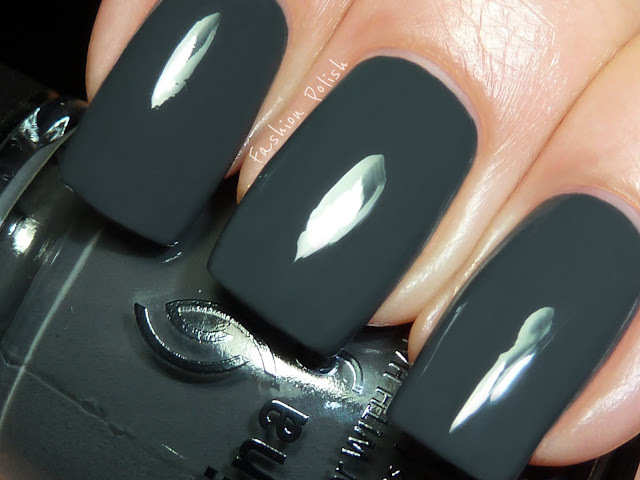 Concrete Catwalk : Steel grey crème is amazing for a chic mani. Westside Warrior : For the trendsetting womanthis camo green crème is to die for. Trendsetter : Mustard yellow shimmer translates beautifully from hot dogs to nails. Midtown Magic : Burgundy base with flecks of gold shimmer captures the latest fashion trend. 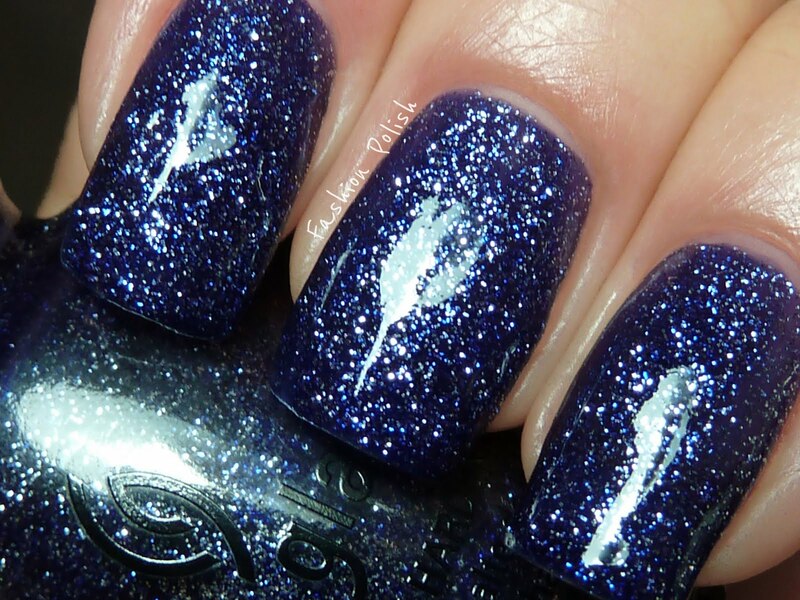 Skyscraper is a silver and blue mix of fine glitter in a sheer blue base. 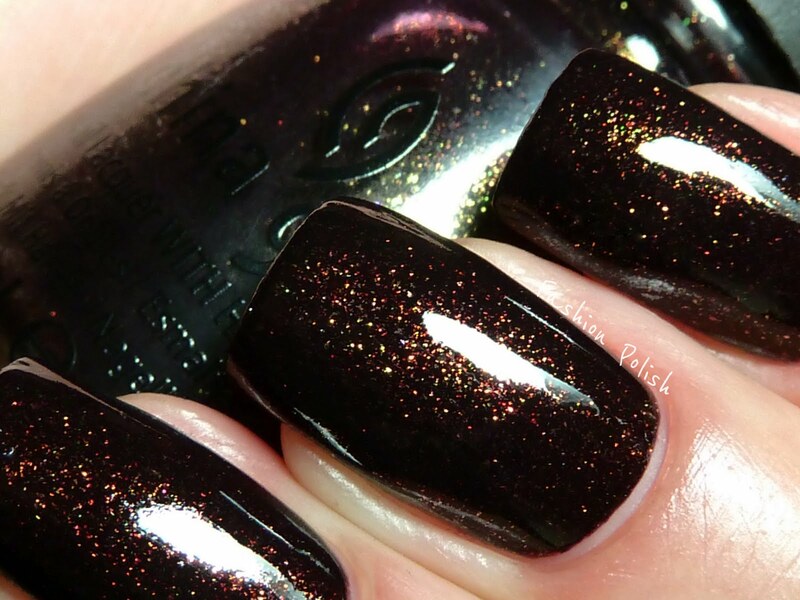 It's an amazing glitter, so simple and yet pure perfection. Now this is a glitter I could wear on ten nails. 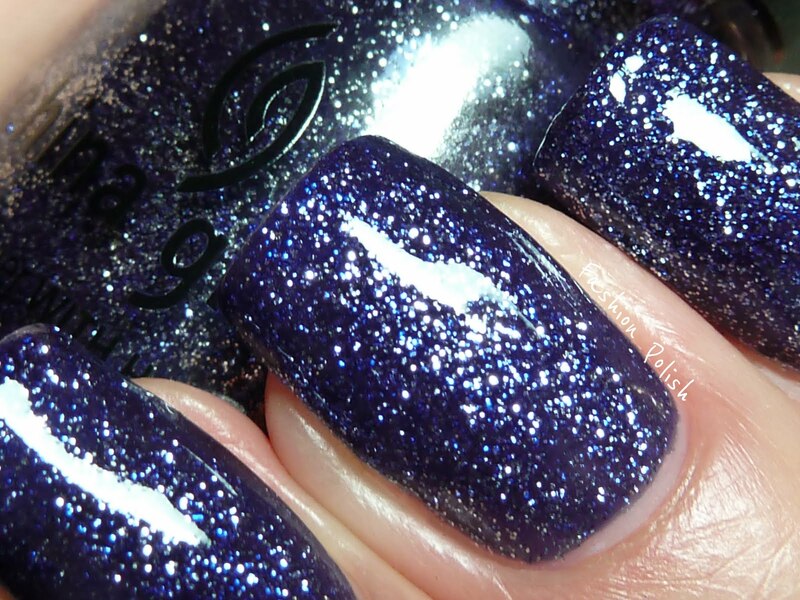 Eversince I saw it I've been obsessed with layering it over a midnight blue jelly, I will try and post that very soon. This is 3 coats. Concrete Catwalk is a pure dark grey wonder. Definitely blue based and super creamy, the perfect grey for Fall, I just love it. Westside Warrior isn't just your typical military green, it's much warmer, not so warm that it falls into the olive green category though so if you have a problem with olive greens clashing with your skintone, this could be a good alternative. 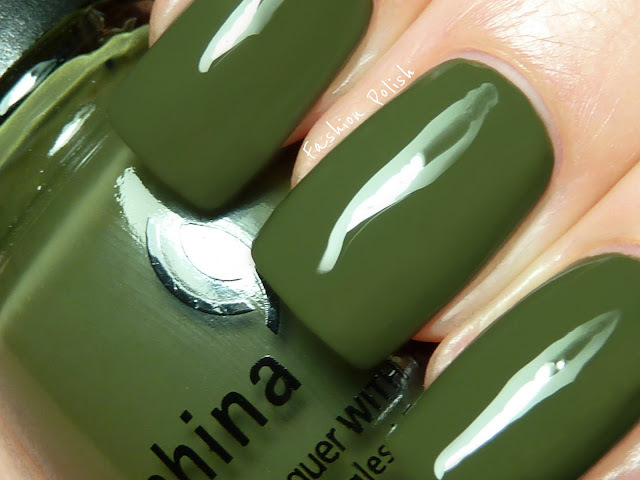 Trendsetter is excatly the type of color I'd be referring to as "fugly". If you're not familiar with this word, fugly stands for f&ck!ng ugly, in the nail world, sometimes a color can be so unusal, so ugly that it becomes beautiful. In this case, a strange greenish mustard shimmer with gold flecks. I just love it! 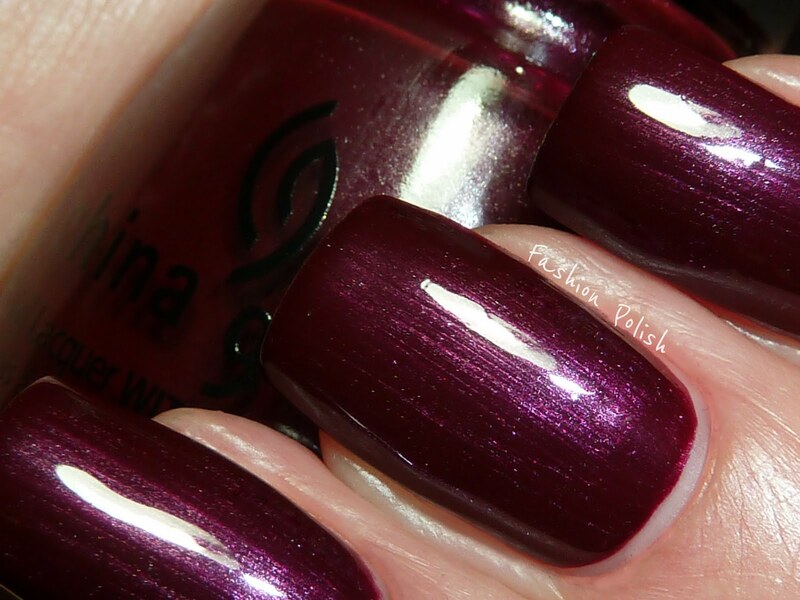 Loft-y Ambitions is a deep burgundy with purple and silver shimmer. I'm not so sure about this one, I sort of like the idea of the shimmer, preventing it from being the old, usual, burgundy but it just doesn't work for me, I don't totally dislike it and it actually grew on me after a couple of minutes, but maybe not enough for me to wear it again. If you do like the color though, you won't be disappointed. Midtown Magic is last but not least, definitely my absolute favorite of the entire collection. It's a plum base packed with gold, copper and red micro glitter. Opacity builds up nicely in 2 coas and reveals an overall dark brown base. 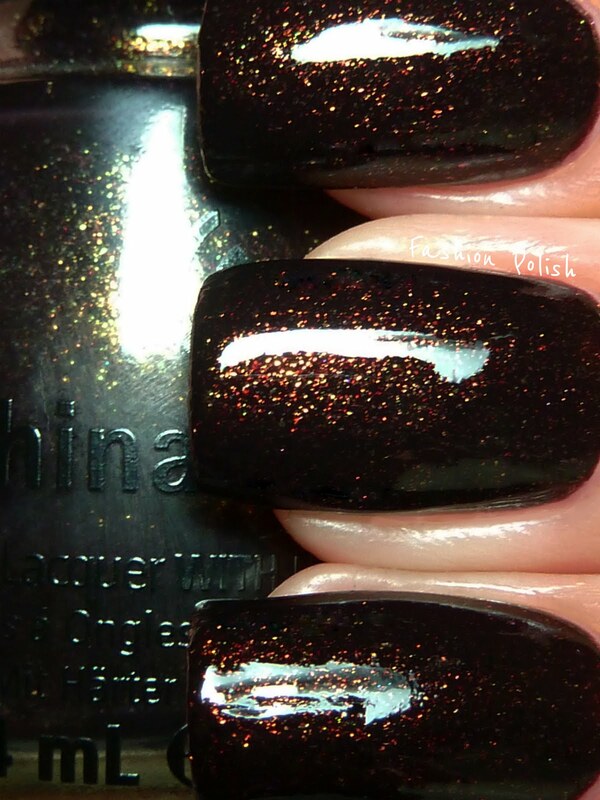 I could not express how amazing this polish is, if you like vampy colors, you absolutely need this. I have no idea if it'll be part of the core collection but if I were you I wouldn't risk it, I didn't! There are defnitely several must-haves in this collection : Midtown Magic, Trendsetter, Skyscraper, Brownstone... Add another buch of really nice colors with flawless formulas and there you have it, an exciting Fall collection with no reason to pass on. I hope you liked this second half of the review as much as the first one, I know this was the most anticipated one so I'm curious to know if you picked / like any of them in particular. Skyscraper, Westside Warrior, and Trendsetter are my favorites! I love your pictures! 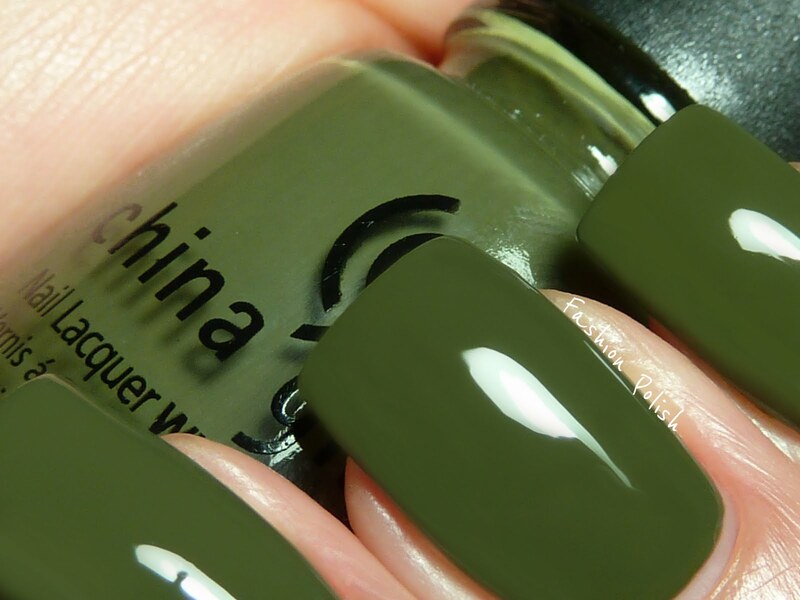 They make every polish look gorgeous. My heart stopped!! I need Concrete Catwalk and Trendsetter! Wow!! Great swatches!! And I think you're just a picture taking wizard, because I have the exact same camera and my stuff doesn't come out nearly as nice LOL. I'm saving up for a nikon p500 though. I layered Skyscraper with CG Up All Night, and it was GORGEOUS. Tons of compliments. 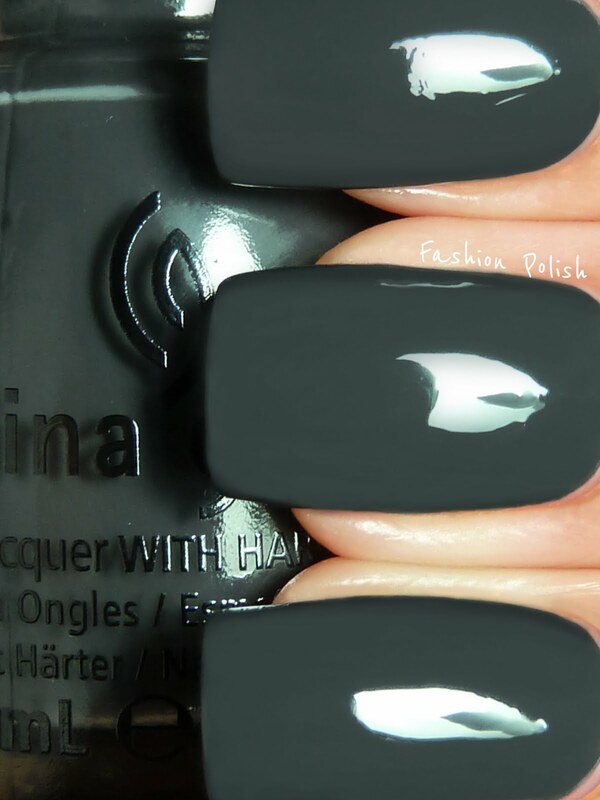 Zoya Ibiza is an excellent dupe, if you have that, too. 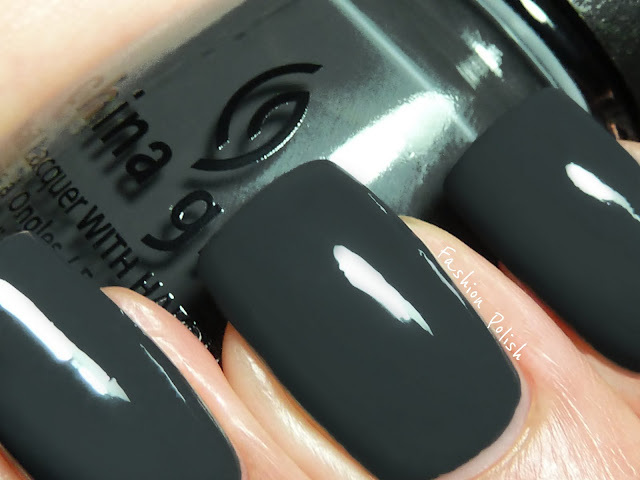 Those are pure perfection polishes. OMG! I want all the collections! your pictures are always absolutely amazing! the closeups are incredible. and your fingers are impeccible. Trendsetter and skyscraper are few of my seasonal lemmings and westside warrior is a shade I miss, too! Beautiful!!!!!! WOW! What did you do/use to get these shots??? These are amazing. I could almost put my feet into Catwalk Concrete and mess up that 'still wet' looking mani with my foot prints!!! I have MM, & Skyscraper from this one...was sure CC was just 'another' gray. Now I am thinking.....uuuummmmh. @FashionPolishI have a pan lumix DMC series also, but I am not getting this quality of macros from it. Even my DSLR 14mp is not looking as good as these. Can only imagine what the look like off the limits of the web? haha. I bought a total of 5 polishes from this collection. Your 4 must-haves and then Westside Warrior. I guess it's a general consensus! Thanks so much girls! I'm so happy you like the review! @ChaosButterfly I played a lot with the settings to find something that workes for me, between white balance and color modes... Lighting is also very important, I have a very good OTT light. @Anonymous Thanks! I just corrected he typo. Just found your blog-OMGOMG! Your nails and pictures are incredible! I love shiny nails and you've got them! Am a new follower! Oh, your pics are bad for my wallet!!! Brownstone is kind of, ugly, I can't see myself wearing it, dated and, well, ugly. Starscraper, Trendsetter, Midtown Magic and Westside Warrior are gorgeous though.